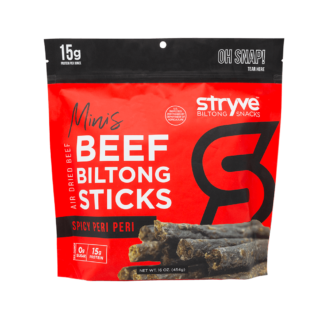 Our Original Beef Biltong Sticks are protein-packed, made with top round steak, and marinated with our all-natural signature spice blend that is sure to please the palate. 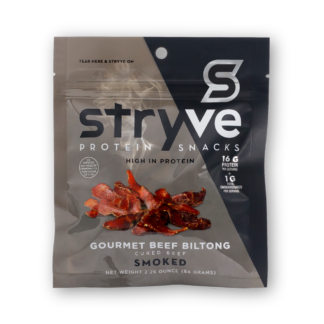 It’s the perfect grab and go protein ready to go wherever you go. 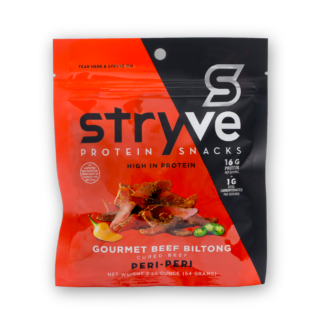 Always delicious and flavorful, never any gluten, nitrates or artificial ingredients. I find so hard to find a good snack that is high in protein, but low in carbs, added sugars and that fits my macros! This is totally delicious! 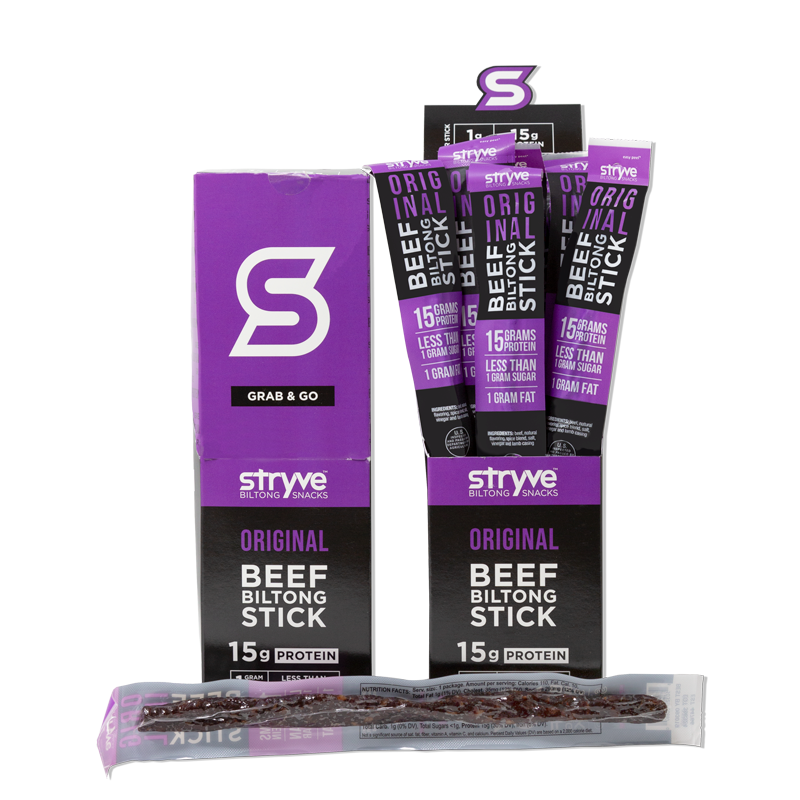 Macro friendly, very natural ingredients and it has also helped me with cravings! 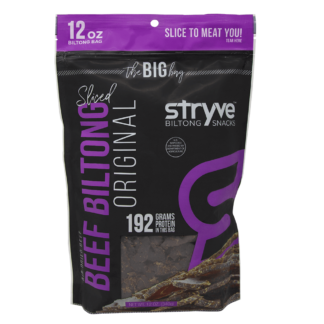 Late last year I spent 2 weeks in Africa and pretty much lived on biltong. 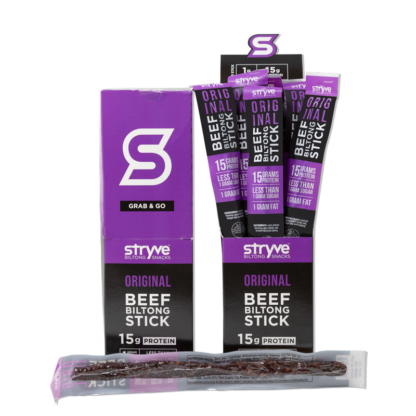 I didn’t think it existed in the US until I found Stryve. It is not only the same great quality but also the same great taste. This is such a healthy and yummy snack. These are, by far, my favorite snack! I pack them for long training days. I keep them in my office for workday treats and I always have a few in my handbag. It’s such a tasty healthy treat!